The WSOP or World Series of Poker World Championships of Poker was created in 1970 by Jack Binion and was held for the first time at the Horseshoe Casino. This series of poker tournaments is held every year in Las Vegas. The latest editions were held at the RIO Hotel and Casino Resort in Las Vegas, just off the famous Strip. The WSOP celebrated its 40th anniversary last year in 2010 and it is always a hit! The tournament series created in the 70's gathers each year more people and in 2010 more than 60,000 players met in Las Vegas for the most prestigious poker event in the world. The first WSOP took place at the Horseshoe Casino in Downtown Las Vegas in 1970. There met a few of the best poker players of the moment. Over the years the number of participants has risen to over 104 players at the Main Event in 1982. In the 90s, hundreds of players gathered every year but in 2000 the tournament hosted for the first time more than 500 players. The real explosion of the World Series of Poker begins in 2003 when Chris Moneymaker won the Main Event besting 838 players. Chris qualified to the Main Event through a cheap online satellite tournament at pokerstars, and this amateur player made an unbelieveable return on investissement that day, as he won $2.5 millions for the first prize. All players who play poker online have said to themselves "why not me?". The following year was therefore a huge success since 2,576 players participated in the main event! 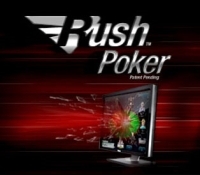 The growth then accelerated with the development of online poker tournaments and the World Series Of Poker welcomed 5,619 players in 2005 and 8,773 in 2006. Later things calmed down a bit because of the anti-online gambling law introduced in the U.S. and the latest editions of the WSOP Main Event received an average of 6,500 players. However, the number of players is now increasing, the participants are indeed all over the world trying to win a WSOP title and a share of the big jackpot that comes with it. In the last edition, the total prize money won during the tournament series rose to 180 million of dollars. The best known tournament at the World Series of Poker is without doubt the Main Event. It is the flagship tournament of the competition. It is played in No Limit Texas Holdem during several days and participants must pay a $10,000 entry fee to play. Thanks to the thousands of players who play the WSOP Main Event, winners of recent years have won millions of dollars. But the entire WSOP event is also one and a half months of other poker events in Las Vegas. This is the great mass of international poker which brings together poker players from around the world, in 2010 115 countries were represented. Professionals and amateurs gather to compete during long days and all hope to win a famous title of World Champion of Poker and the bracelet that goes with it. Currently, the WSOP offers 54 tournaments each year in all variations and different styles of Poker: Omaha, HORSE, Razz, Texas Hold'em No Limit, Pot Limit, Limit tournament format with Heads Up, Six Handed, Full Ring , Rebuy, Freezout ... In short, most poker variations are represented. And to satisfy all bankrolls, you can find tournaments ranging from $1,000 or $ 1,500 entry fees through $2,500, $5,000, and up to $10,000 and $50,000 for the HORSE tournament. With the advent of poker on the Internet, anyone can qualify for the WSOP directly from home playing at Full Tilt Poker or PokerStars for example. During these 40 years, the WSOP has seen numerous world champions. Some, like Doyle Brunson (2), Stu Ungar (3) and Johnny Chan (2) have won several times at the beginning when there were fewer players. Today to win more than once a tournament win thousands of players seems impossible ... The champion of the world changes every year and the benefits of media coverage and numerous sponsorship deals allow him to live thereafter confortably from poker. The lastest World champion is the young American Jonathan Duhamel, crowned on 10 November 2010. Aged just 21, he won $ 8,944 million.